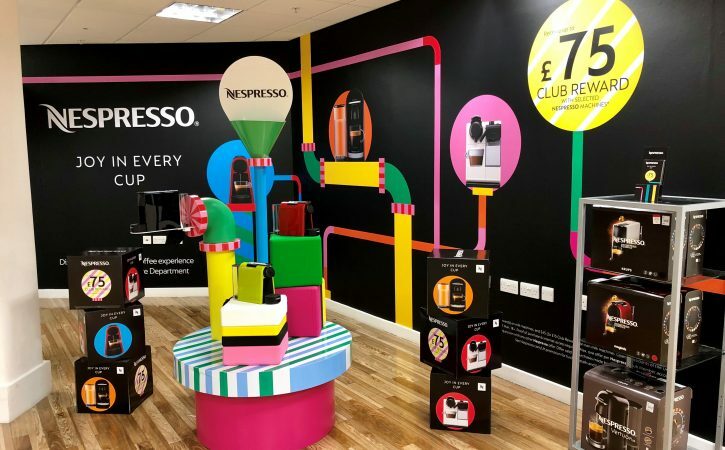 Sleek, stylish and one to catch your eye, just like their coffee machines! 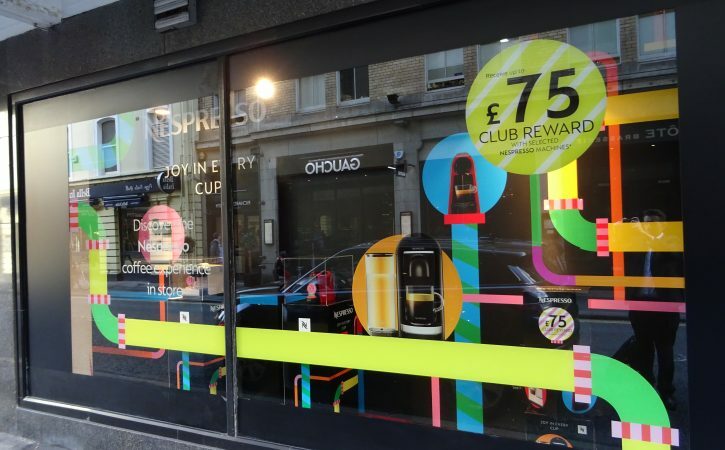 Nespresso’s Christmas promotion, the most vibrant of colours and not your traditional reds and greens of Christmas. 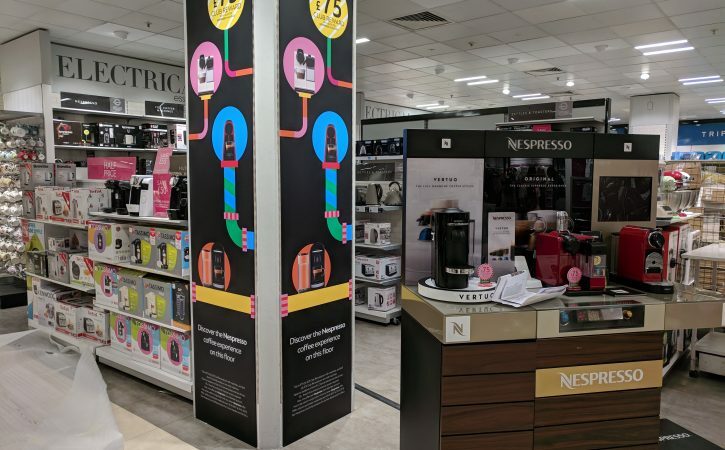 Designed by Sanchuri Design, Harrisons Signs produced and installed the promotional material across a large network of department stores nationwide. 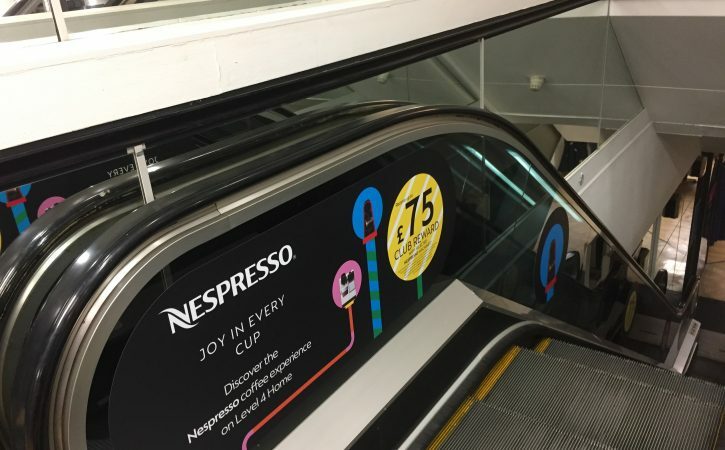 From escalators to windows and shop floor displays the wide format digitally printed graphics were printed on a variety of substrates to include card, foamex and vinyl. 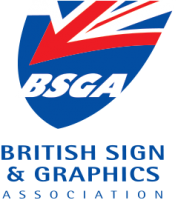 These displays will definitely catch your eye on one of your Christmas shopping trips and what a great Christmas present for someone to! 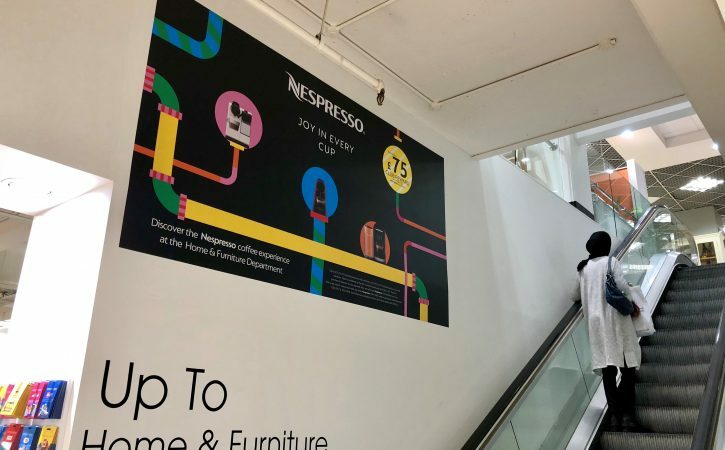 We were delighted with the finish as were Nespresso.